The October report for browser market share is out, and once again it’s a month of incredible growth for Google Chrome while Internet Explorer hits a new low for the year. Except for that dip in July Chrome’s growth has been spectacular this year, and while it first looked like it would just pass nine percent for the year, it’s now looking like 9.5 percent is not out of the question as we go into 2011. 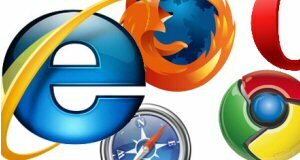 Internet Explorer’s continued decline to a new low for the year is especially surprising with the introduction of IE9 receiving so many rave reviews. At this point I would say it is just simply people are ready for a change, although you could argue since the latest version of Microsoft’s browser is a “Beta”, it might be keeping some people away from it. Apple’s Safari continues its run of modest growth, bringing it to a total jump of only .80 percent for the year. Hey, growth is growth. Mozilla’s Firefox hit a low for the year, and has lost a total of 1.59 percent of its market share. Opera, which usually hovers in the same range month after month, fell to a low for the year of 2.28 percent. It isn’t clear what is causing Google’s Chrome to gobble up so much of the market this year, and it isn’t going to get out of third place any time soon, but the company has to be thrilled with its growth. Yes, we’re talking only 3.25 percent for the year, but that is sure more than anyone else is showing.